In memory of the founders who gave this community its name when the party of Augustus A. Bird, Commissioner, and Charles A. Bird, later the first settler, passed this way from Milwaukee to erect the first capitol at Madison. After nine weary days of rain the were thrilled with sunshine upon this prairie and carved "Sun Prairie" on a Burr oak tree one mile and a half east of this village June 9, 1837. 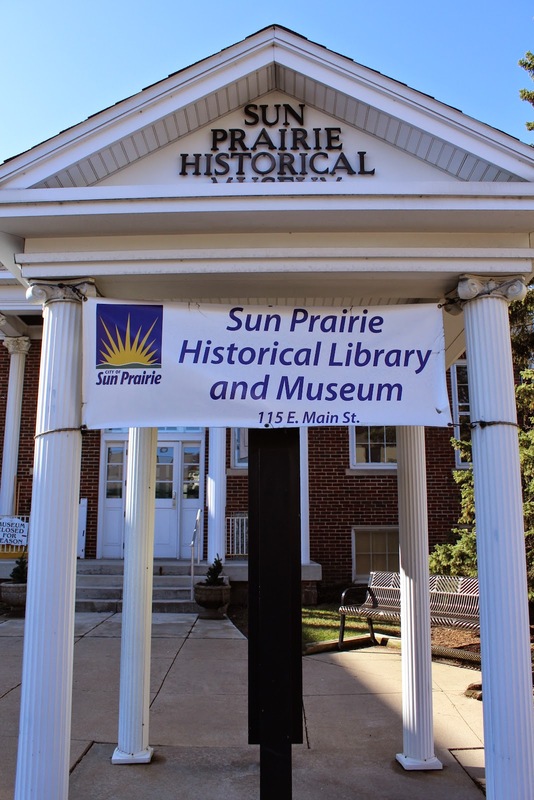 The marker is located at the Sun Prairie Historical Library & Museum on westbound East Main Street / Wisconsin Route 19, east of its intersection with South Bristol Street, at 115 East Main Street, Sun Prairie, Wisconsin 53590. A very interesting, more in-depth account of the history behind the marker inscription. 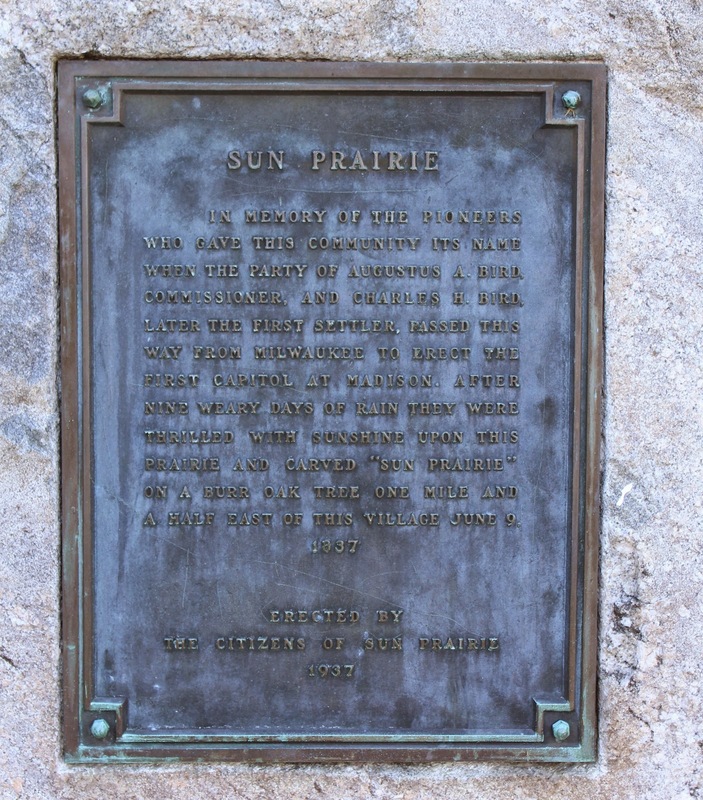 The marker is located at the Sun Prairie Historical Library and Museum.